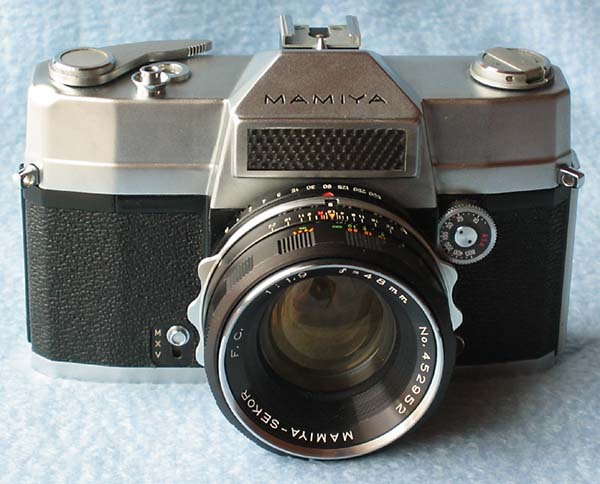 I found this camera recently on eBay for a reasonable price and in very nice condition. I was interested in this model since it has a leaf shutter built right into the camera and not into the individual lenses, making it different to most other SLR cameras. The camera still works perfectly and even the selenium meter is right on. The Primsat PH was released in 1961. Shutter speeds are between 1/500 sec. and 1 sec. plus B. ASA range is from 6 to 800. The camera features a hot-shoe for flash photography and also a PC connection. There is also a self timer (10 sec. delay) if the little M-X-V switch on the front is set to V.
In order to use the viewfinder, the shutter must be cocked. This opens the leaf shutter and brings the mirror down. There is also a secondary curtain to prevent exposure of the film during viewing. The shutter speed and aperture are set with two separate rings on the camera body. Open aperture metering is enabled. The Primsat PH doesn not require a battery. There was also a later version of this camera called CPH (or CP). It features a CdS meter which is positioned on the front of the camera below the rewind knob and not on the front of the prism. I assume that the CPH requires a battery for the CdS meter. Mamiya only offered three different lenses for the Primsat PH and CPH. 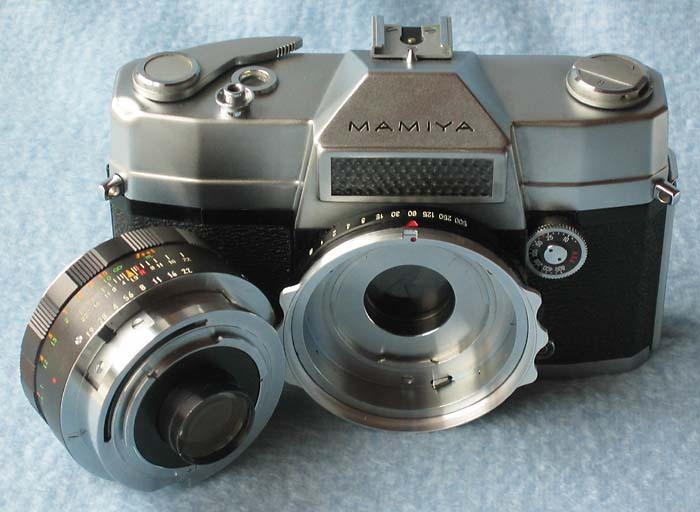 They have a special bayonet mount and are called Mamiya-Sekor F.C. (see table below). This picture shows the unique bayonet mount of the Prismat PH with the Seikosha-SLV leaf shutter built into the camera body. 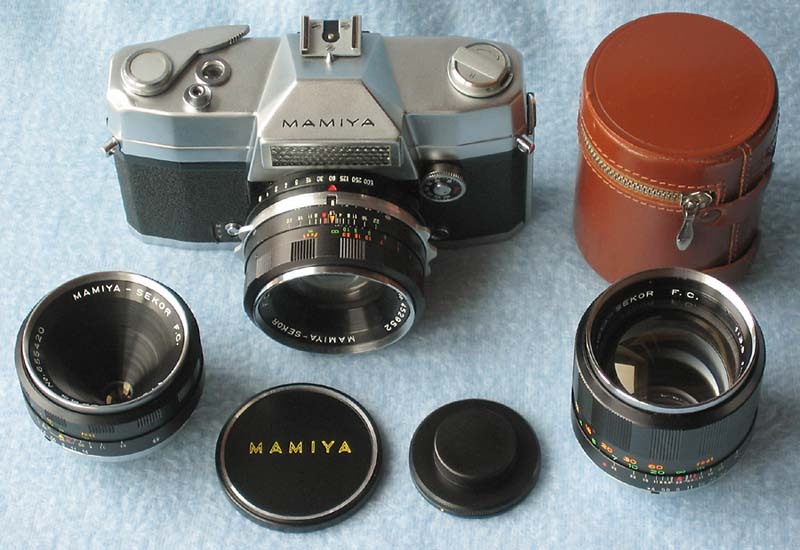 The complete set: Mamiya Prismat PH camera with all three lenses (including lens case for the 100 mm telephoto lens).